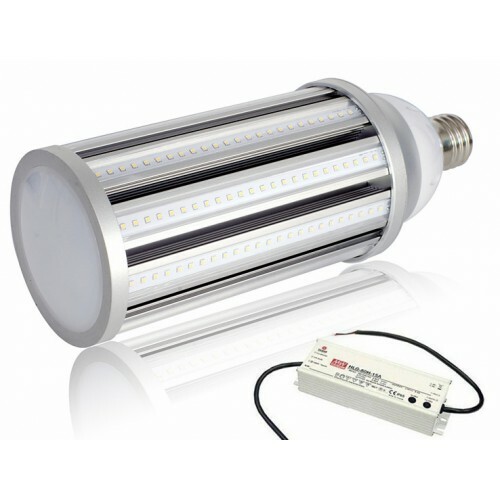 Our "LL E39-120W" is a 120 Watt LED "Cylinder" type lamp (mogul base) which is a cost effective upgrade for HID, HPS, MH or CFL lamps, useful when the fixture or head does not need replacement. This product is available with an internal driver or the companion Meanwell driver assembly for most efficient choice of installation.. Diameter x Length / Weight 5.75 x 13.8" / 5 lbs. 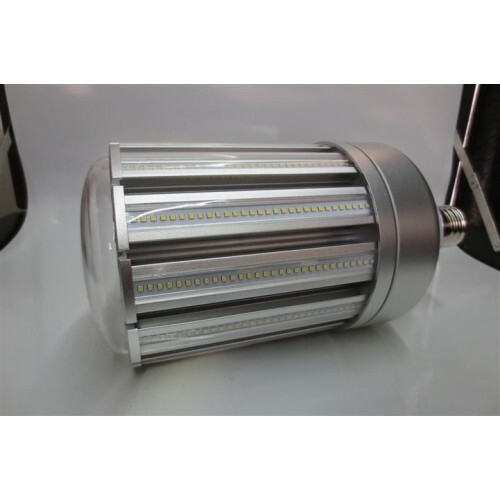 This product is proven to offer massive savings and immediately improves light quality. 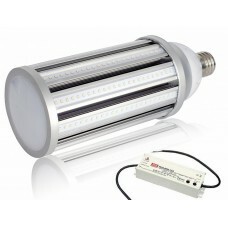 Because most outdoor lights are on 10-12 hours per day, the ROI for this product is generally well under two years.